Philanthropy’s role in advancing sustainable development attracts a lot of attention. This report calls into question long-held assumptions about the volume, nature and potential of foundations’ engagement in developing countries, and the role they can play to support the SDGs. 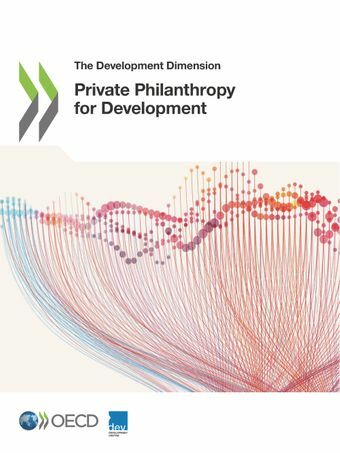 It presents ground-breaking data and analysis that capture previously non-existent global and comparable quantitative and qualitative data on how foundations support development.The report examines philanthropic resource flows for development purposes, as well as foundations’ priorities, practices and partnering behaviours. It presents fresh perspectives and action-oriented recommendations to optimise philanthropy’s role in support of sustainable development.This report offers practical insights for government policy makers and decision makers in civil society organisations, social enterprises and foundations. It results from close co-operation between the OECD Development Centre’s Network of Foundations Working for Development (netFWD) and the OECD Development Co-operation Directorate. The total volume of philanthropic funding for development was USD 24 billion in 2013-2015. Globally, philanthropy is the 3rd provider of health funding in developing countries. Health, by far, is the sector that benefits the most from philanthropy. The Bill and Melinda Gates Foundation alone accounts for half of all philanthropic giving to developing countries. Most philanthrophic funds come from the United States. Africa is the region that benefits most from philanthropy. Foundations working for development ’’play it safe”: 86% of foundations’ grants are for no longer than five years.